Shortly after joining BJC HealthCare in 2014, Sherry Ward faced a difficult challenge that if not handled well could jeopardize her mission. The new vice president of human resources, operations, and total rewards had to implement a sweeping change to the company’s short-term disability benefit. This long-established program was designed for employees to accrue hours of time off for temporary disabilities based on their length of tenure. An efficiency consultant hired before she joined BJC had found that some employees were taking as much as seven times more time off than average for certain medical issues. The program also had another flaw—newer employees could not quickly accrue sufficient banks of time, leaving them without enough paid time off to care for a newborn baby or recover from a major surgery. The business case for changing the program was sound. Ward decided to scrap the concept of bankable hours in favor of a disability benefit that would provide appropriate time off for all workers, regardless of how long they were employed. The proposal prompted some resistance, though, from long-tenured employees who had accrued a sizable bank of disability hours. “They felt like they were giving up something that they had earned over the years,” Ward recalls. This perception could not only create ill will that could hurt acceptance of the program reform, but also put Ward’s credibility at risk. If she failed this first test, her plan for a redesign of employee total rewards (benefits, wages, recognition, work life, and career development) would be harder to achieve. She had to find a way to convince BJC’s employees that giving up the disability bank concept would be worthwhile for everyone and create a financial safety net for all eligible employees. Drawing from expertise in finance, HR, and marketing, Ward was up to the immediate challenge as well as the larger test that would impact her credibility with all 31,000 employees. Having begun her career as an actuarial consultant for Towers Perrin (now WillisTowers Watson), Ward had gravitated to human resources roles with a number of large companies including Sara Lee, Brown Shoe Company, Solutia, and most recently, Maritz, before joining BJC. The skills gained from earning her master’s degree in finance and marketing helped provide the communications skills needed for this mission, she says. After accepting the job in an unfamiliar industry, Ward wasted no time delving into the culture of one of the largest healthcare organizations in the country. She launched a series of employee focus groups almost immediately, holding sixty-two of these sessions at BJC’s fifteen hospitals and multiple community health locations over the first few years of her tenure. In fact, there were some differences by gender, ethnicity, and tenure that impacted how employees viewed and valued BJC’s benefits plans and rewards structure. Certain benefits were more important to some constituencies than others. She also noticed that there were subcultures within larger cultures. For example, physicians and nurses in pediatrics expected what Ward describes as a “softer, hands-on approach” in how HR presented and explained how benefits programs worked. “That’s because they provide more hand-holding for their patients and parents caring for children as their mission,” Ward observes. Insights like that would help guide how she and her staff rolled out the new disability plan, and later, new total rewards initiatives, including a new rewards platform and mobile app. Ward held town hall-style meetings with Q&A sessions so that employees could ask questions about the new disability plan and other proposed changes. Her presentation featured salient graphics that outlined the business case for eliminating the hours bank and its full impact. She made a convincing case, and by and large the change was accepted by the workforce as a competitive change, as well as part of an overall enhanced total rewards road map for BJC. Ward also worked on the creation of an internal multimedia marketing effort to pitch the new total rewards program that included home mailings, in-person presentations, short videos, and supporting materials for the employee service center, which is staffed by specialists in employee programs. Ward infused her style into much of the copy for the various communications pieces. “I needed them to sound like me and for employees to believe that BJC cared about them,” she explains. A keystone of the rewards launch, the portal would allow employees to access the full scope of offerings in one location online. Each employee would be able to view the benefits available to them, their eligibility, and find out detailed information on benefits offerings, including how to enroll and participate in them. Within her first year, Ward launched the total rewards strategy and portal, which included a mobile app connecting all of the offerings in an annual statement. In addition to a rundown of healthcare, disability, retirement, and other benefits, the portal also includes a section on career development. The latter is critical given worker shortages in the healthcare industry that fuel high turnover in some disciplines. The portal offers employees a view of their career path, including programs such as leadership training and tuition reimbursement, that can help them advance. It also gives supervisors a view of employees’ pay rate, length of service, qualifications, and career advancements so that they can help guide their team’s growth. Though BJC already had a highly competitive benefits package, “We weren’t doing a good job of telling our own story,” Ward says. “There was no portal that tied everything together.” Integration of information is a game changer, she notes. Data analysis and creative communication, along with human resources expertise, all have been essential to Ward’s work. She has used all of her training and experience for the mission she signed on for more than four years ago. There’s more to do, but she’s already set a strong foundation and put the framework in place to make BJC’s employee total rewards program a competitive advantage in a tough battle for talent. Cigna‘s collaborative partnership with BJC Healthcare improves affordability, choice, and the total health and well-being of the individuals we serve. 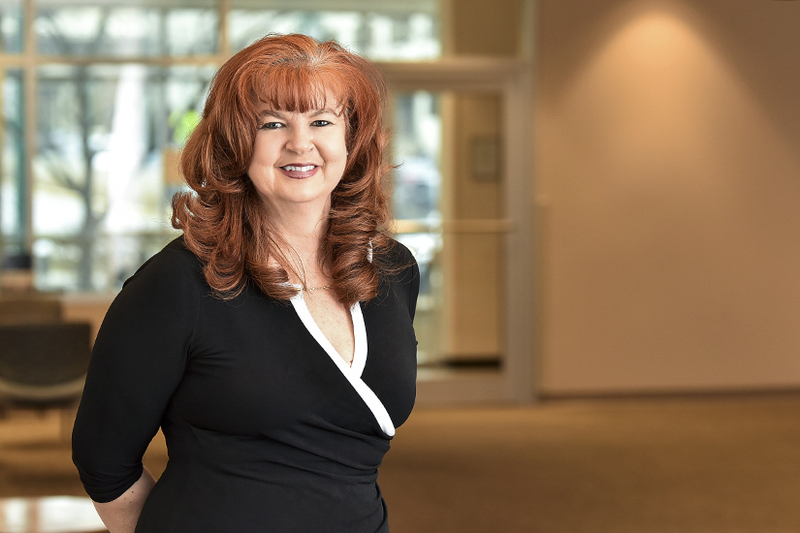 Employee health is a core value for both of our organizations, and Sherry Ward’s flexibility and strategic thinking has helped us meet BJC’s evolving needs and goals together. Congratulations to Sherry Ward on this well-deserved honor. Sherry was instrumental in bringing an innovative solution like Livongo to the BJC HealthCare population. Livongo’s partnership with BJC has allowed us to empower its employees and family members with chronic conditions to live better and healthier lives. Benefit Recovery Group congratulates Sherry Ward for demonstrating exemplary leadership and implementing innovative plan design features during a time when employees’ healthcare needs are rapidly changing. We are proud to support Sherry and BJC HealthCare with an innovative subrogation process designed to help maintain costs, satisfy fiduciary responsibilities, and ensure a first-class member experience.